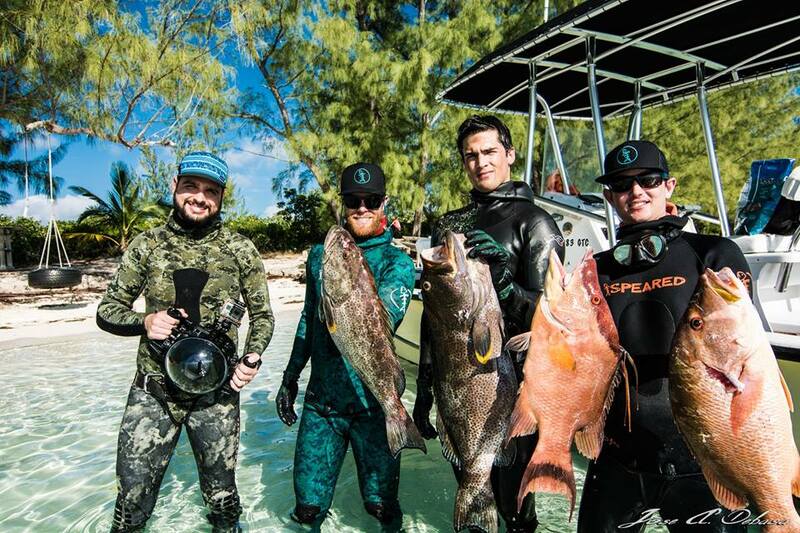 This is an interview chock full of good actionable intel for spearfishing! 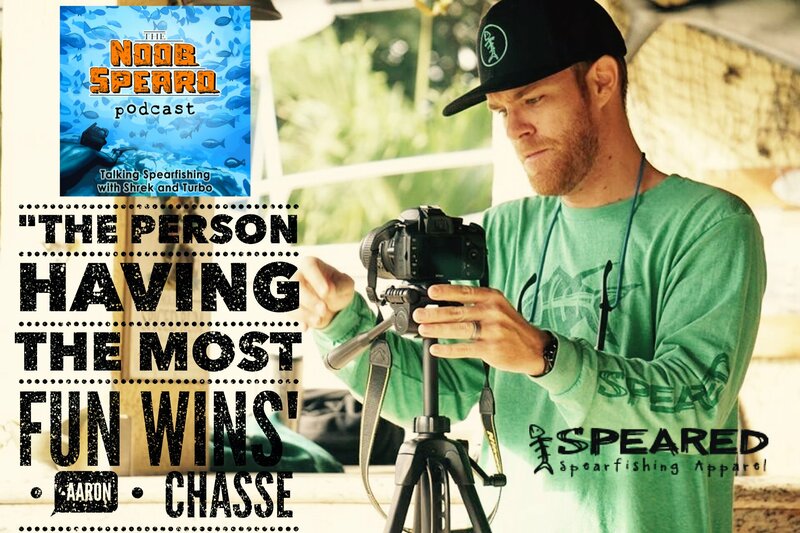 Aaron Chasse, the founder of Speared Apparel and a SpearHeads TV collaborator takes our GoPro Q&A and runs with it. We ask him about the various mount options (head/gun/frame/etc), other critical accessories for spearfishing, red lens, crucial settings, post editing tips, mounts and more. In this chat you will find out how the SpearHeads crew have slowly grown and developed their films (awesome tutorials and information for spearo’s btw). Aaron also talks about how to approach potential spearfishing sponsors and shares some good tips about what sponsors are looking for. He includes the key information to use when you email in a sponsorship proposition. He added that Speared are not currently looking for divers at the moment as they have a number of great spearo’s on-board already. In this audio interview we also hear some great insight into the Aspetto spearfishing hunting technique and how Aaron and some of his friends apply it effectively. He breaks it down and talks about how to slowly improve your diving until you can hold bottom time. And then once you do start to hold bottom time, how to use the aspetto technique to bring the fish in. For all your Spearfishing equipment needs go to www.spearfishing.com.au or visit their stores in Brisbane, Sydney and soon – Melbourne. For fast navigation through Aaron’s interview, here are some major moments. 10:00 Favorite Spearfishing Hunting Technique – Learning the Aspetto, bottom hunting and some tricks for bringing in curious fish once you are there. 15:00 Scary Moment. Buddying up with Justin Baker off Fort Pierce spearfishing in 60 feet of water when Justin failed to resurface after 2 minutes. Aaron out of a desire to share his underwater experience with friends and family, bought and started using a GoPro. Compact and affordable, a GoPro just made sense. He goes onto talk a bit about the formation of the well known Floridian spearfishing collaboration SpearHeads TV. SpearHeads features Andrew Quincoses, Jose Debasa, Justin Baker, AJ Hall, Jeremy Foell, Nolan Sadorf, Erik Menendez & our man for this interview Aaron Chasse. DISCLOSURE: We receive a commission for some of the equipment, books and other gear that we recommend. If you purchase these items through our links we will often earn a commission. Sometimes with our recommendations we have negotiated a discount, freebie or bonus for our community when you use our links. If you do choose to purchase through our links, thank you for supporting the Noob Spearo’s efforts! The decision to sponsor is never taken lightly by spearfishing brands, sponsorship needs to make sense for the business. “Do it right” was the big takeaway. 50:00 Funny Moment, Jose getting shocked while they were doing a Shark Shield shoot. Bellanita Speargun Rack was mentioned. Check them out on Facebook! 58:00 Study and understand the species you will encounter in your area. When Aaron started out in South Florida, he made a book with pictures of all the species that he would encounter. He found photos of each species underwater! If you enjoyed this interview particularly the deep dive into GoPro use for spearfishing listen in to Jessie Cripps and Michael Takach’s interview as there is also a lot of information in there. We have also interviewed Andrew Quincoses, one of Aaron’s co-SpearHead buddies – check that out as well. Thank you for listening to the Noob Spearo Podcast!